Moose is a new app that introduces a new musical experience. It provides an easy way to search for new musical information, and also enjoyable to express yourself through music. With a clean visual and pleasant design, it allows an easy handling. And also it offers to future users, a greater comfort and an innovative experience. The produced video seeks to show the concept, features, Moose navigation. 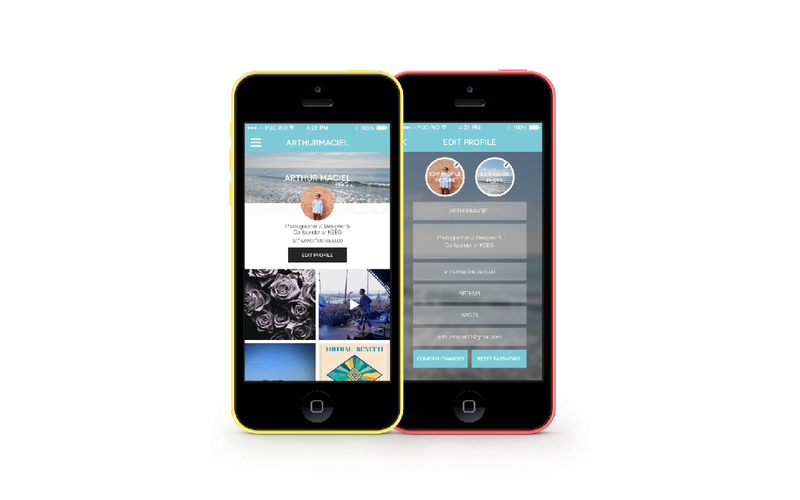 Its production was technically simple but aesthetically consistent with the app concept. The video displays the product’s essentials through its design as an user interacts with the clean and beautiful designed interface and most of the app functionalities. "What's Moosing?" Create a personal identity with the app and transmit your feelings about music. Listening to a song / an artist, going to a concert, spotting something on the street, a trip that exemplifies a reference to the feelings, the lifestyle and the music. This experience that Moose wants to convey with the music lovers. Moose wants to design a social network that is not just like / comment / follow. May this be the moment which users originally and creatively design their personal content by photos and videos that might inspire others. More than being a popular user and have more followers than others, is really identify with different experiences and similar musical tastes.